Do you have financial issues with your business that need an in-depth analysis and a plan worked out to solve the issues? Do you want a qualified analysis of the financial statements of your business and a plan worked out on how to improve the financial condition of your company? Sandra Simmons, President of the company, provides one-on-one private consulting for selected clients she feels are a good fit for her financial consulting services. 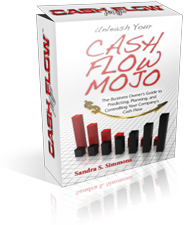 Sandra has over 20 years of experience in accounting, tax preparation and financial consulting on business financial issues with a stellar track record of success in helping business owners out of burdensome financial situations. She has successfully turned client companies around financially; even pulling some back literally from the brink of bankruptcy. Additionally, Sandra worked in the corporate marketing and advertising field for many years at fortune 500 corporations and achieved impressive results for her client companies. Sandra has worked with business owners in over 50 industries for over 20 years, so she is familiar with operational, accounting, marketing, and administrative issues, and has a group of resources that she has vetted over the years she can call upon or refer who can handle invoice factoring, debt consolidation, receivables collections, employee legal issues, wealth management, and more. The private one-on-one financial consultations and accounting reviews carry an hourly rate paid up-front in small blocks of time. An analysis of the situation is done and a result or goal is worked out and agreed upon with the client at the beginning of the consultation. The client is assigned work in the plan to minimize the number of hours Sandra needs to spend with the client over the course of the plan being carried out, but is available whenever she is needed to answer questions, research something, or advise the client in a decision making situation. We review your accounting records, if you want our opinion on financial strategies for your business to give you the best advice on your business plans – whatever they are at the time. To set an appointment to discuss a consulatation or accounting review, call us at (239)­ 331­-7055 or email us. This company was literally on the verge of bankruptcy, with less than $30 in their operating bank account and a bankruptcy hearing less than one week away. Sandra did a thorough analysis of the situation and agreed she would consult the client and work with the owner to get the company solvent. She estimated that it would take 6 months for the company to be operating in the black. In actual fact it took only 3 months with some major changes agreed upon and executed in the company’s operations. This company was drowning in debt and the business owner was drowning in personal debt as well. Both the husband and wife worked in the practice, with the wife handling the finances. Sandra met with the couple, did a thorough analysis of the situation, the business and personal financials, and worked out a plan to get both the dental practice and the couples’ household finances turned around and into the black. The couple was aggressive in following the plan and needed consulting only occasionally for modifications in the plan as the situation improved. In less than a year the company was in the black and the couple was able to aggressively pay down personal debt. They did so well that they were able to build a beautiful new 13 operating room clinic, and are financially set.